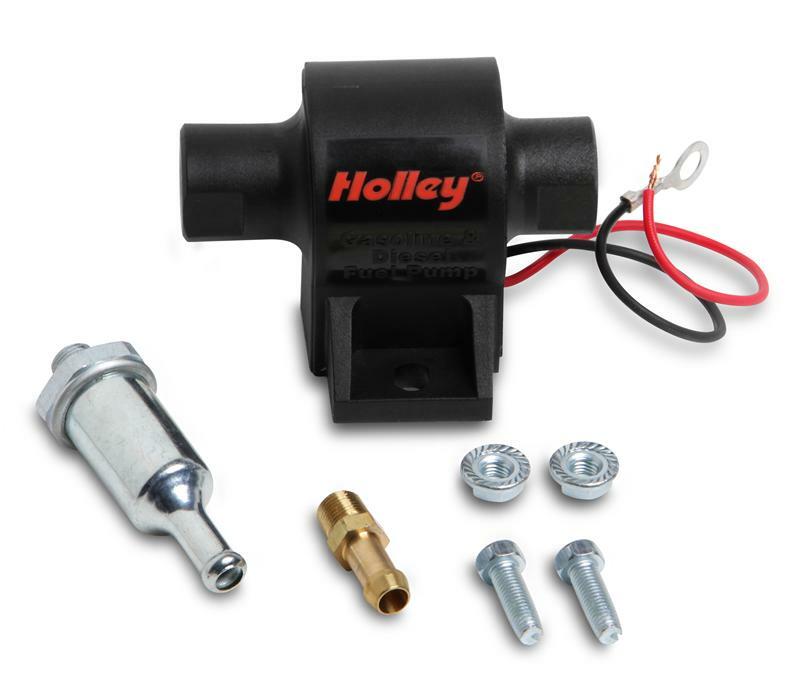 Holley pumps have fueled more performance engines than all others and the Holley line keeps on growing! Holley is proud to introduce the all new Holley Mighty Mite™ electric fuel pumps! They’re big on performance, but small in size! They’re quiet, easy to install and work with gas, diesel, blended alcohol and E85!